Balance Beans is a logic game and math game all in one. Set up the Red Beans according to the Challenge Card. Then carefully place the colorful Beans on the Seesaw to keep it from teetering. When you balance the Seesaw, you are actually balancing an equation! As the challenges get harder, you’ll rely less on trial and error – and more on math and reasoning skills. 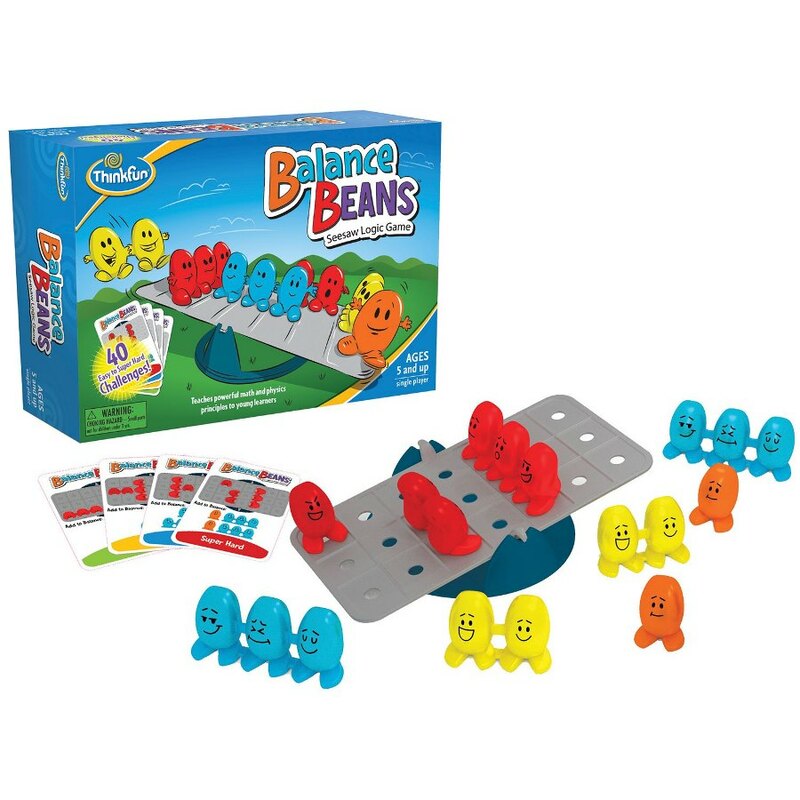 This bean-filled logic game is a fun way to introduce young learners to elementary algebra. Icludes: Game Tray and Base, 9 Game Tokens (3 Single Beans, 3 Double Beans and 3 Triple Beans), 40 Challenges from Easy to Super Hard with Solutions, Instruction Manual & Game-Go Bag. This product was added to our catalog on 15.12.2016.